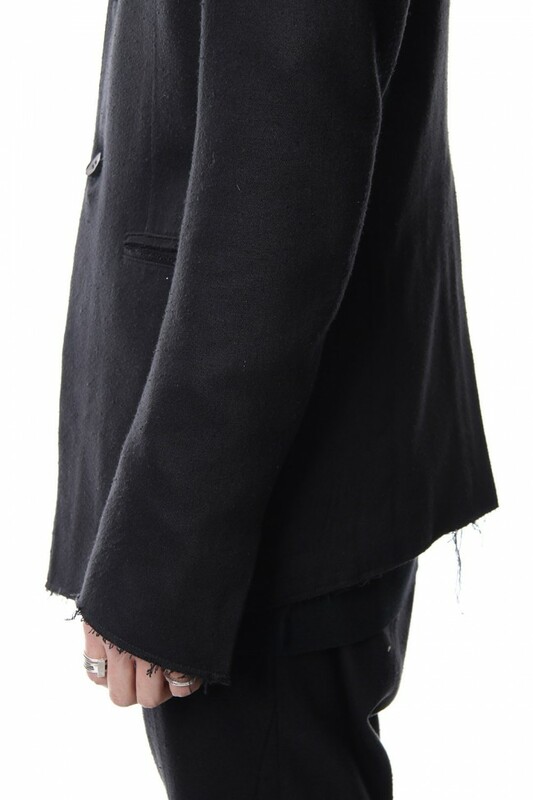 · The original fabric was created by dyed black twill weaved with silk thread with thick nep and black dye at Nishijin weave in Kyoto. 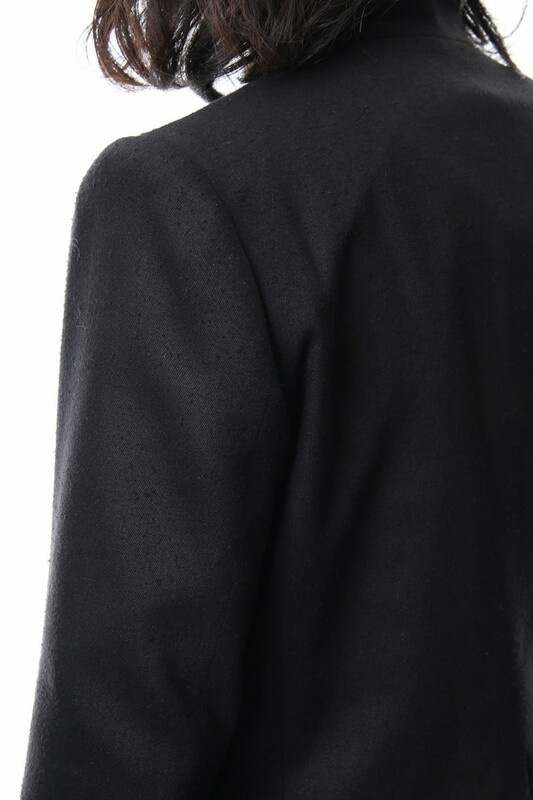 · The silky smoothness and rough expression of jet black on the reverse gives a rough look to it. 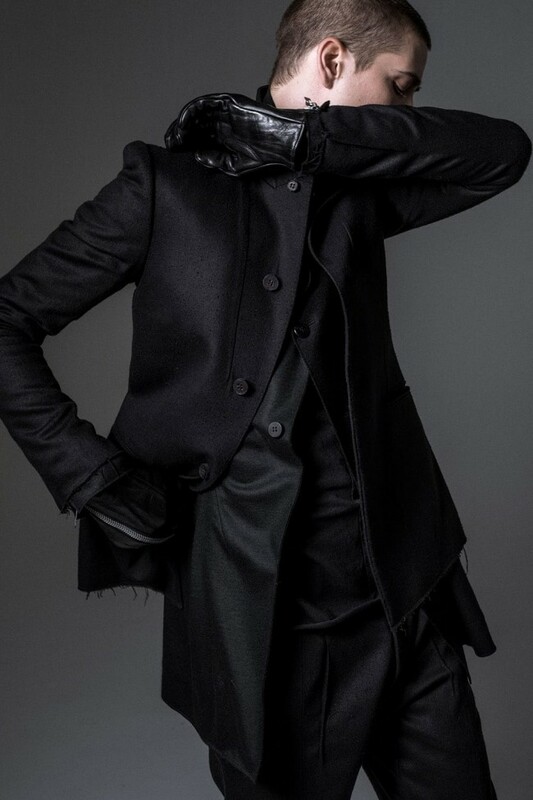 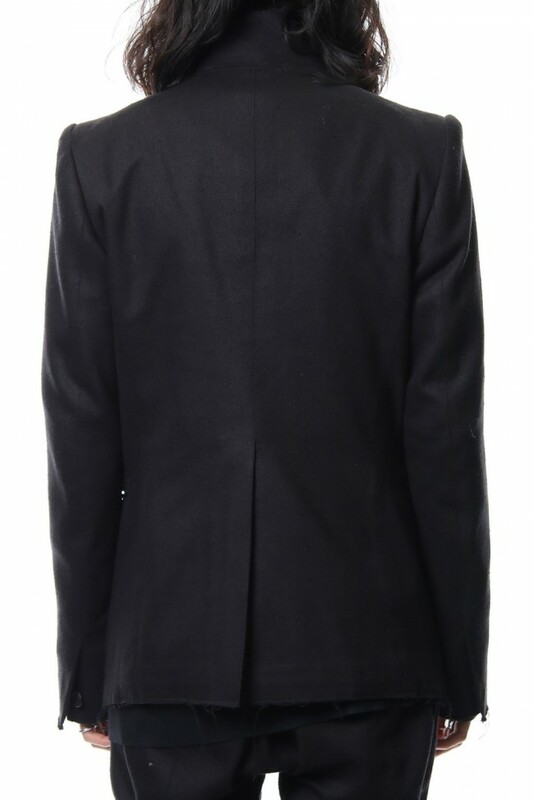 · The concaved shoulder using original shoulder pad, the tailored jacket has a constructive silhouette made from original chest padding. 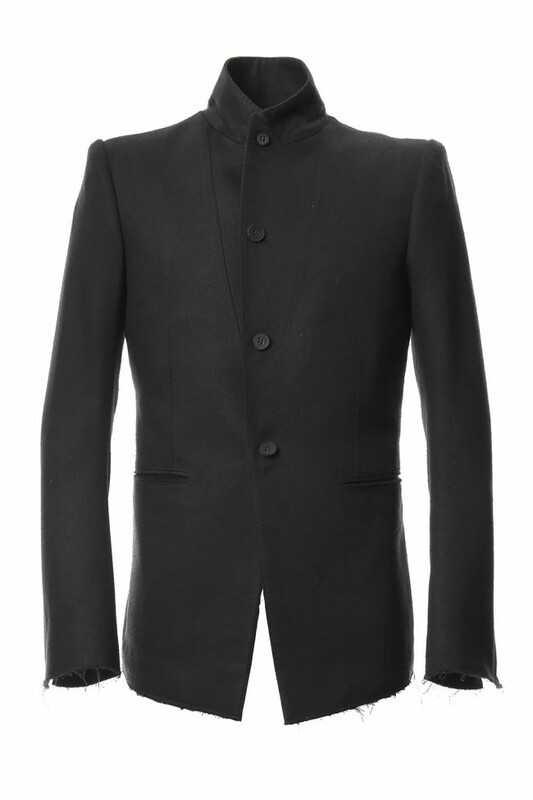 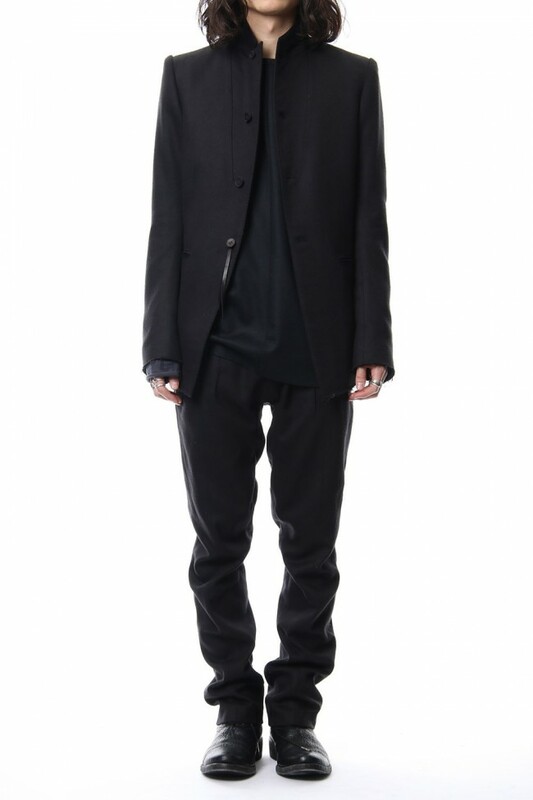 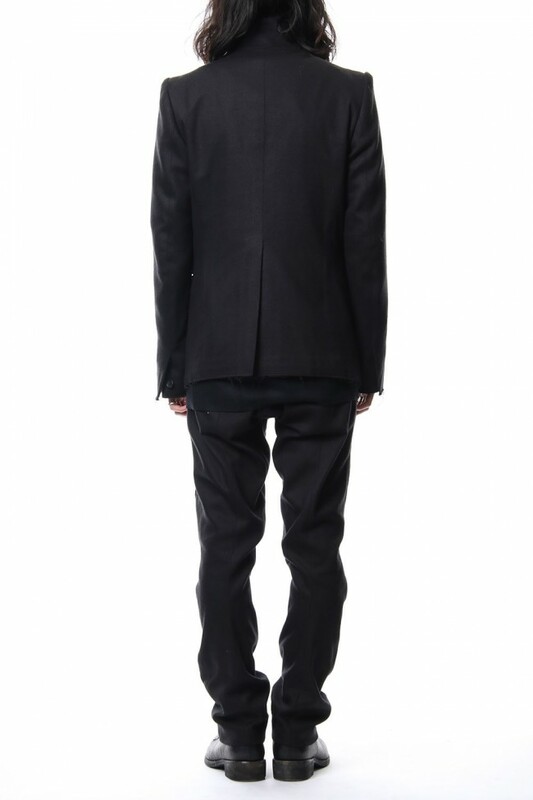 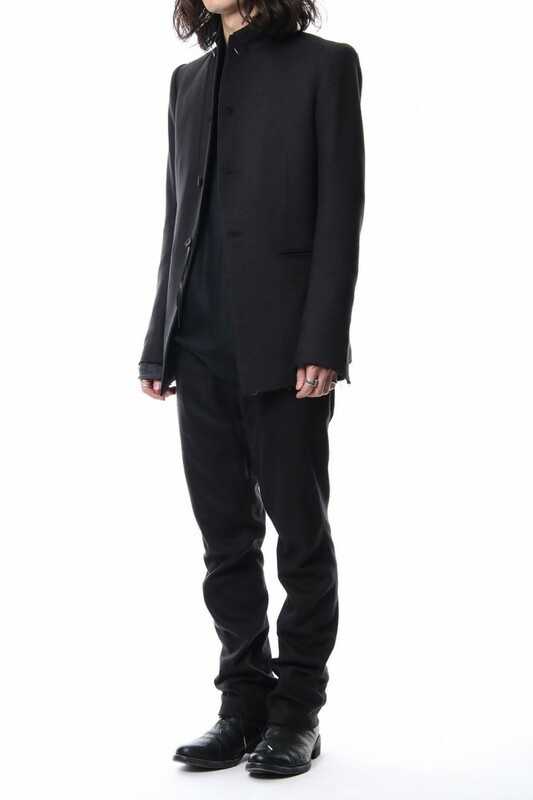 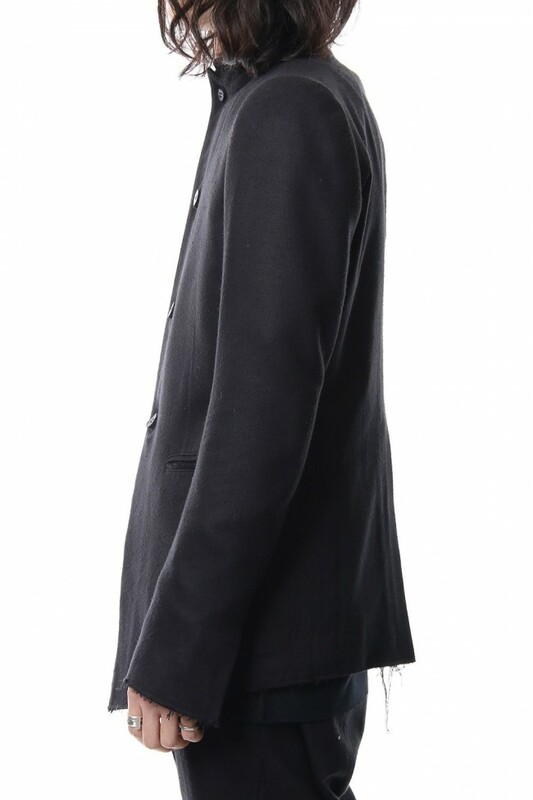 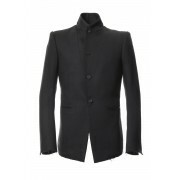 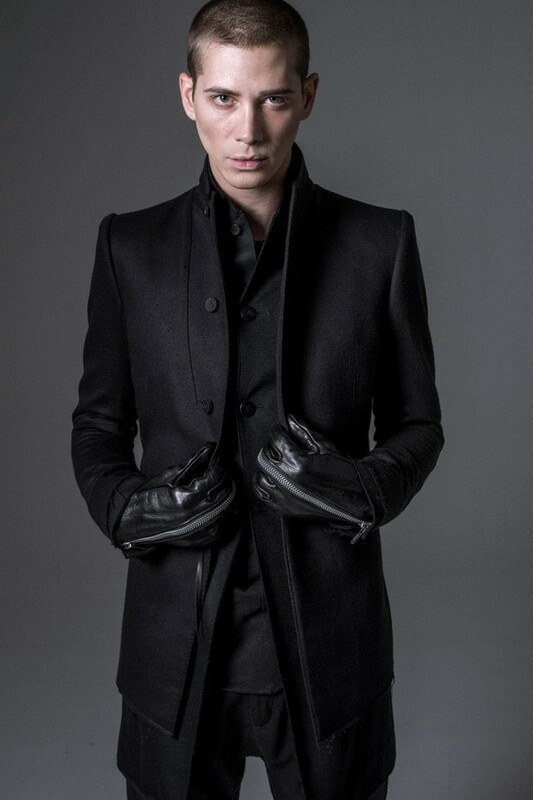 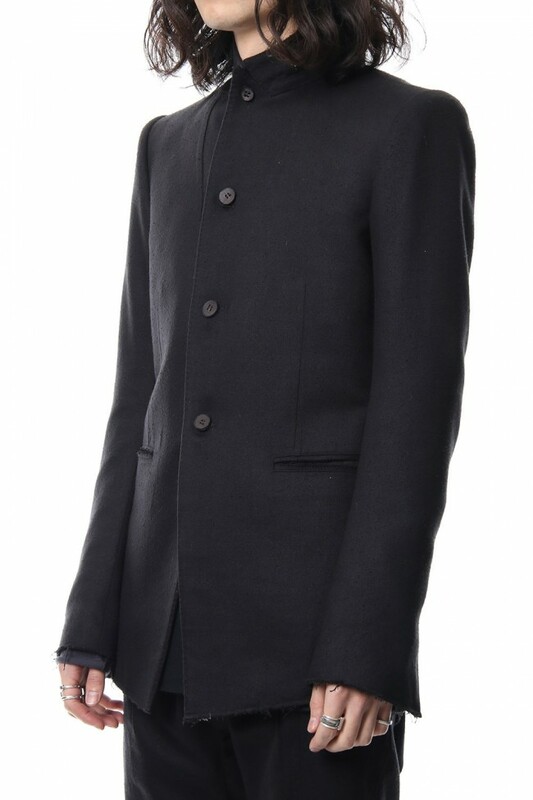 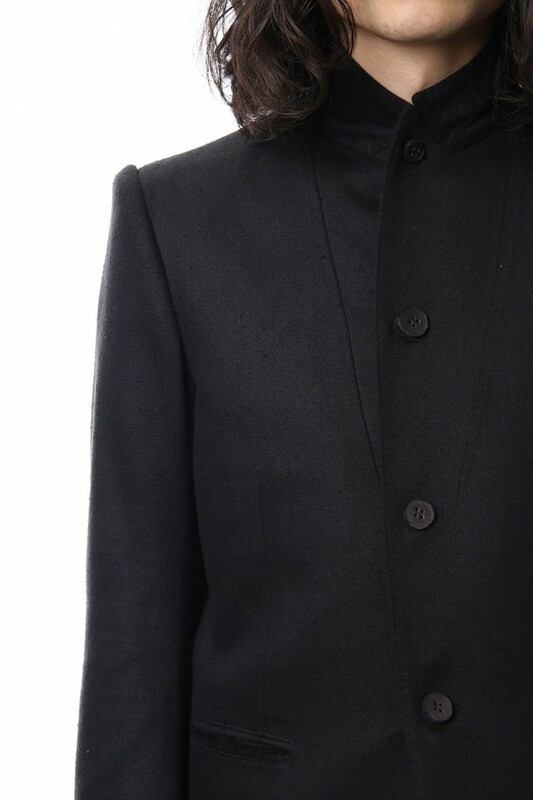 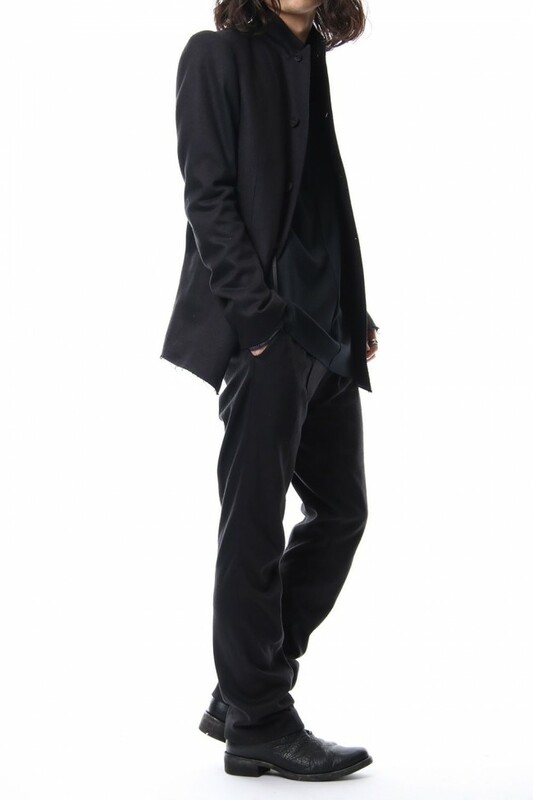 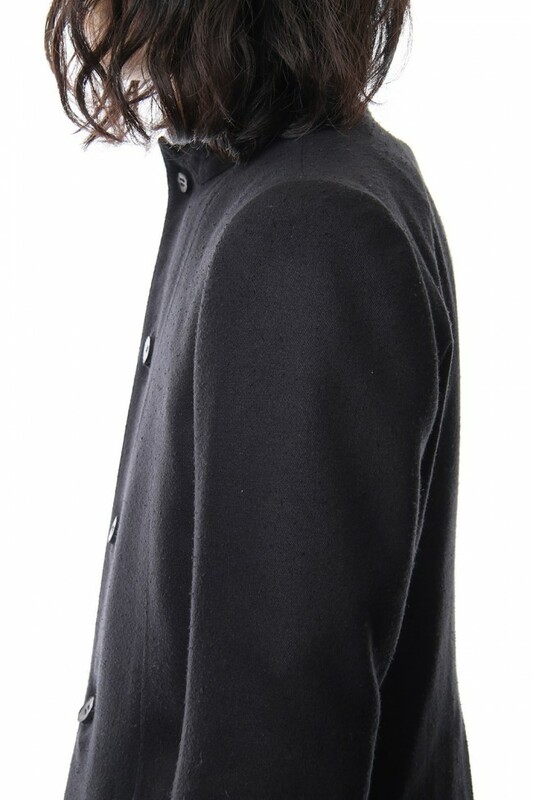 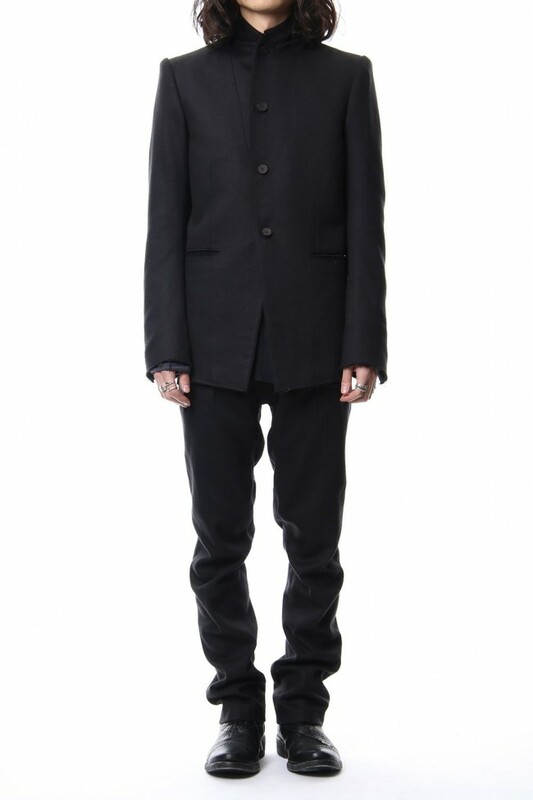 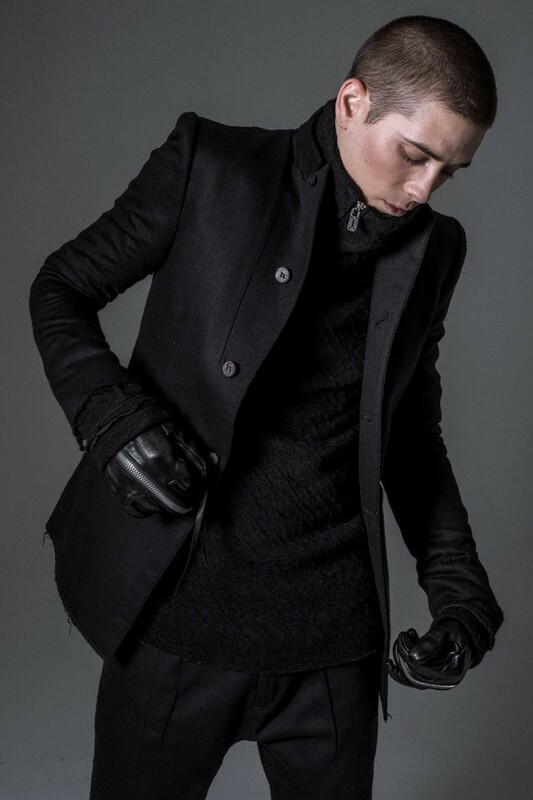 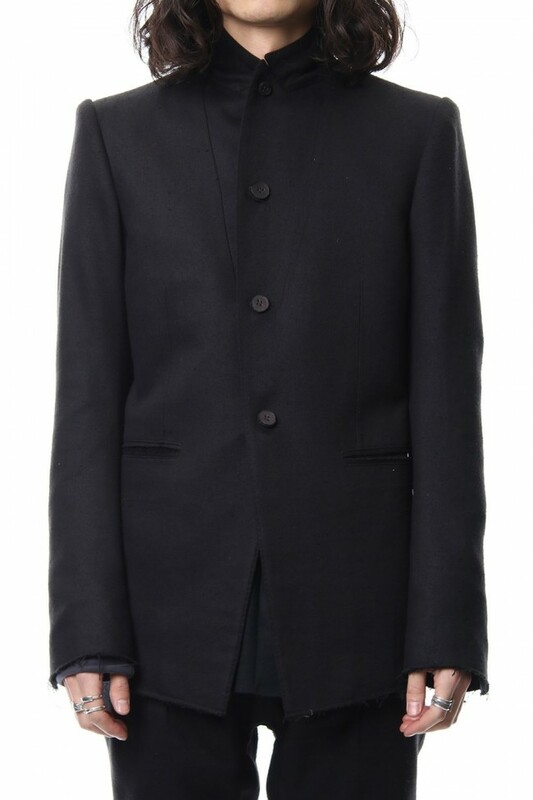 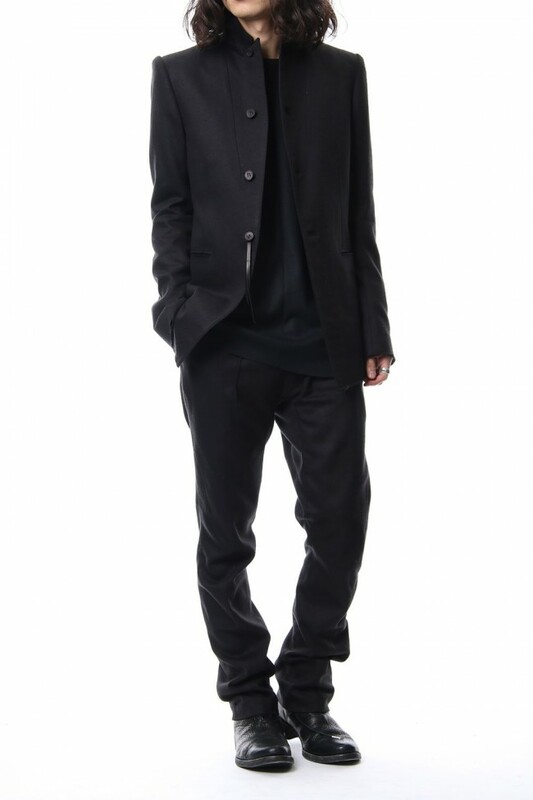 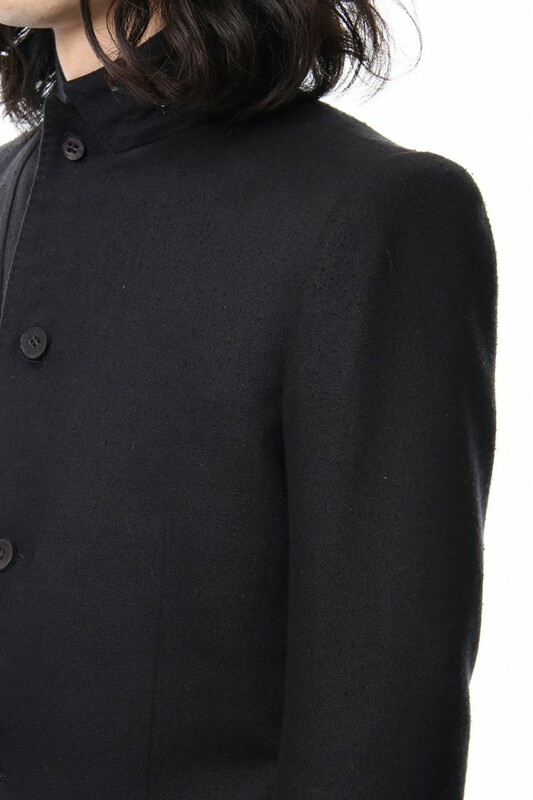 · it is recommend dressing with collar, lapel up with all the buttons closed. 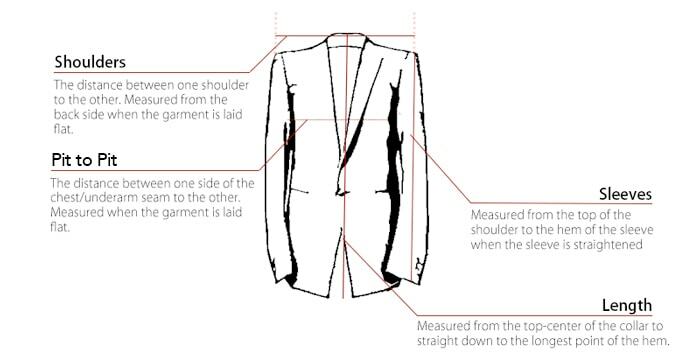 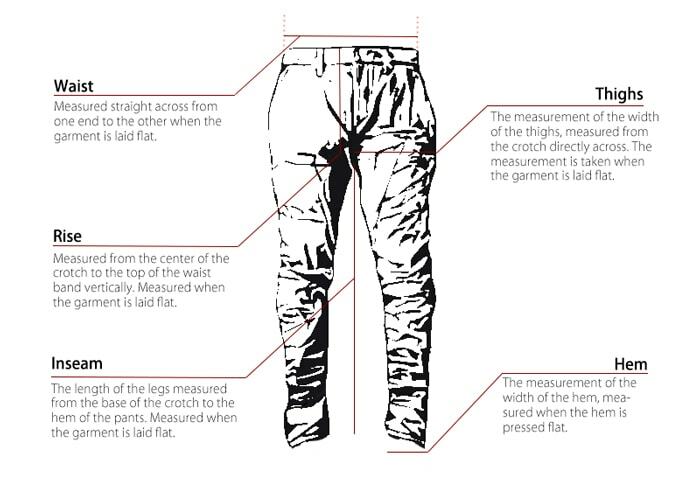 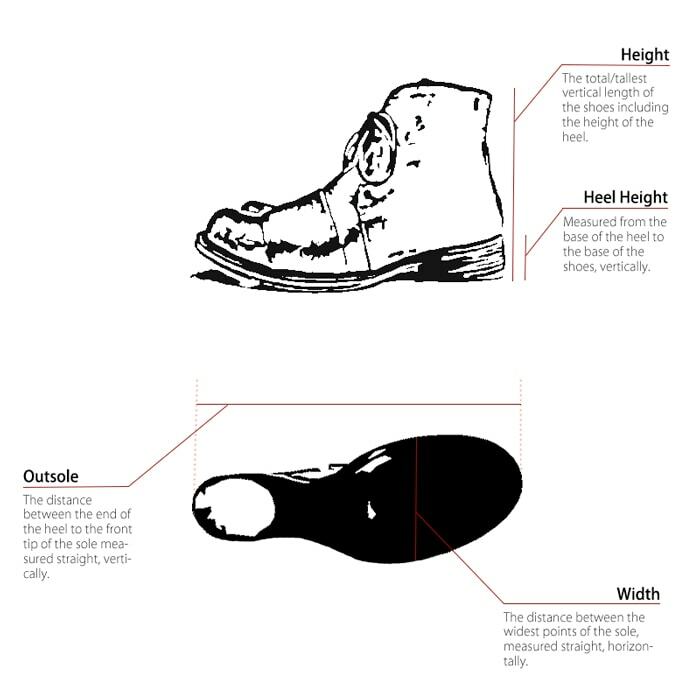 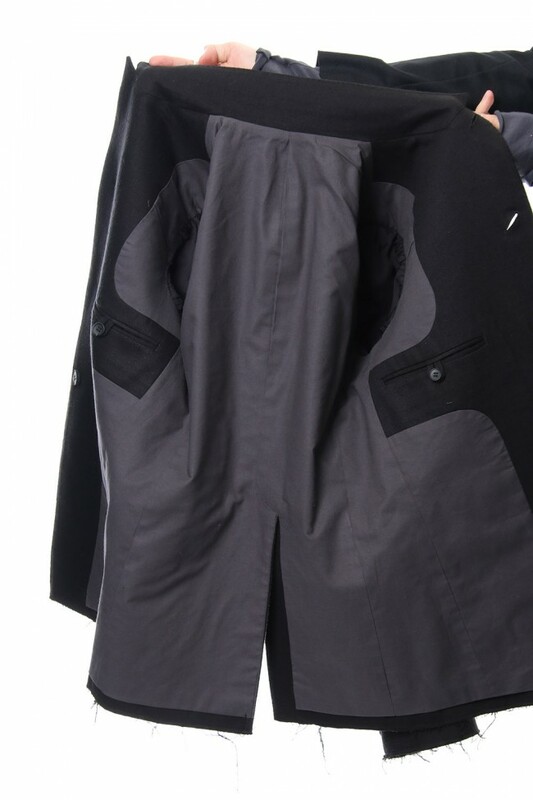 · Sewing by advanced tailor craftsmen. 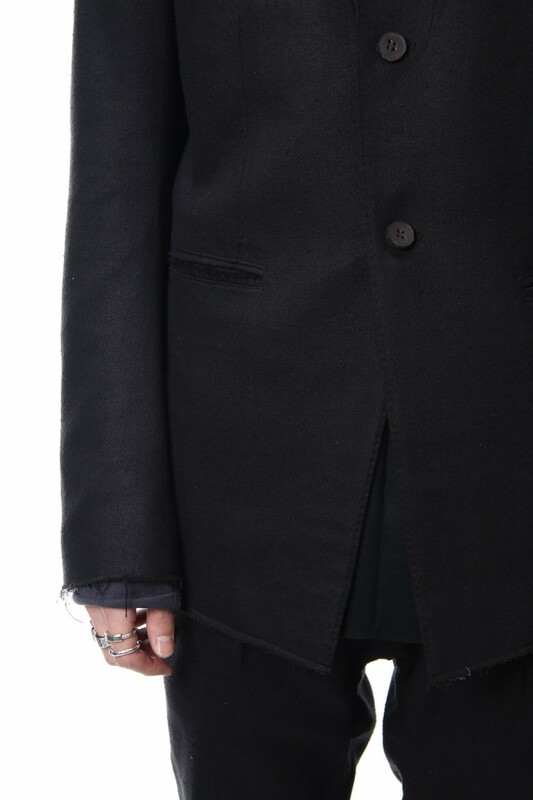 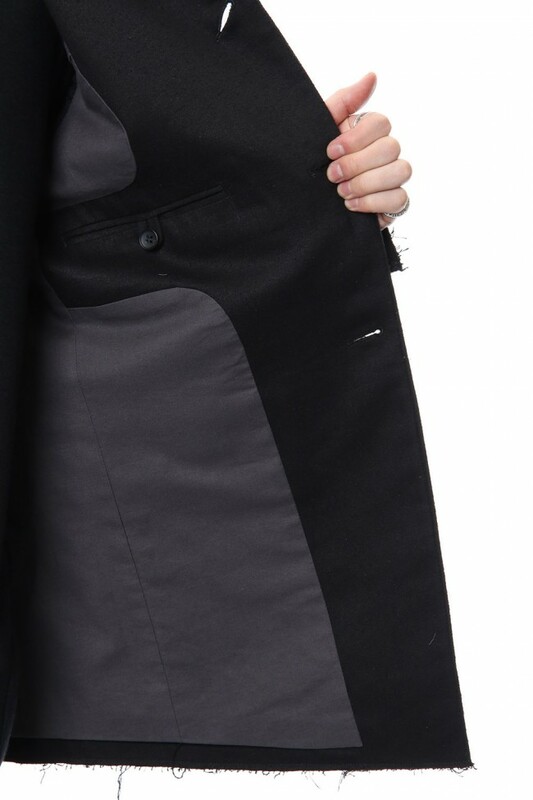 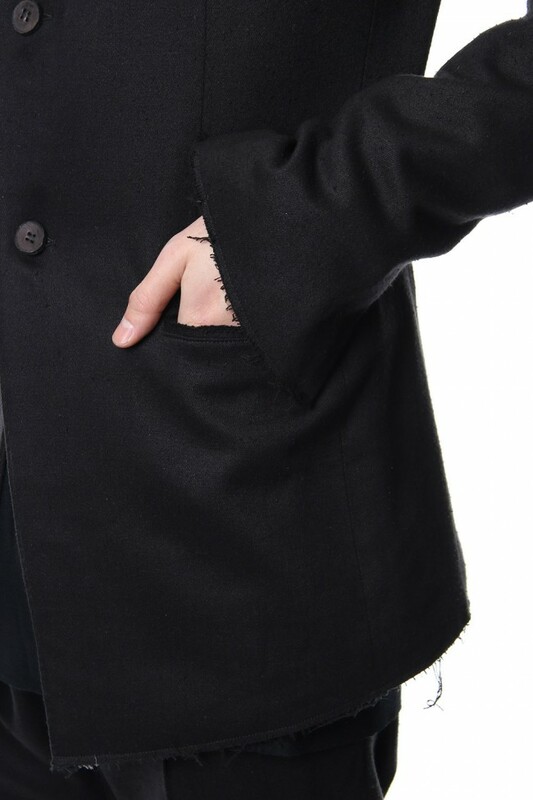 · Cut off finished pocket, cuffs, hem.